WOSU Public Media announced Thursday that it has received a $5 million gift commitment, the largest in its 98-year history, from two donors who have supported its stations for more than 30 years. The commitment from Sandy and Andy Ross lays the groundwork for a new headquarters on the central campus of licensee Ohio State University in Columbus, Ohio. The couple has supported the public broadcaster for more than 30 years, according to WOSU leadership. “Sandy and I have enjoyed everything WOSU has to offer for so long, and we want to help continue to support that quality programming well into the future,” Andy Ross said in a statement. WOSU, which operates TV and radio stations reaching 31 counties in Ohio, is in the quiet period of a campaign for the new custom building. Rieland plans to reveal more details and enter the public phase of the campaign on Oct. 25, he said. WOSU will celebrate its 100th anniversary in 2020. It launched in 1920 as an experimental station and received its official call letters in 1922, Rieland said. 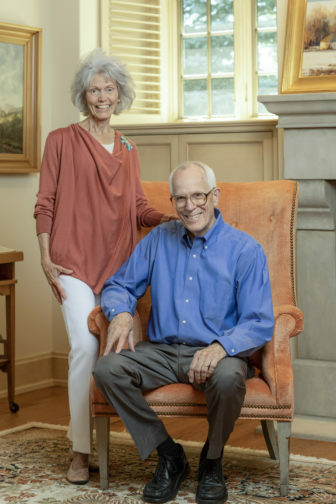 Rieland credited the Rosses for their longtime support, including challenge gifts they provided during downturns in the economy. Their contributions have helped WOSU develop a media lab for teens to create original programming and provided capital resources when Classical 101 changed FM frequency, according to a statement from WOSU. The series tries to take a more optimistic look at getting older.